I use a combination of techniques to create intimately sized fine art ceramic vessels of delicate simplicity. 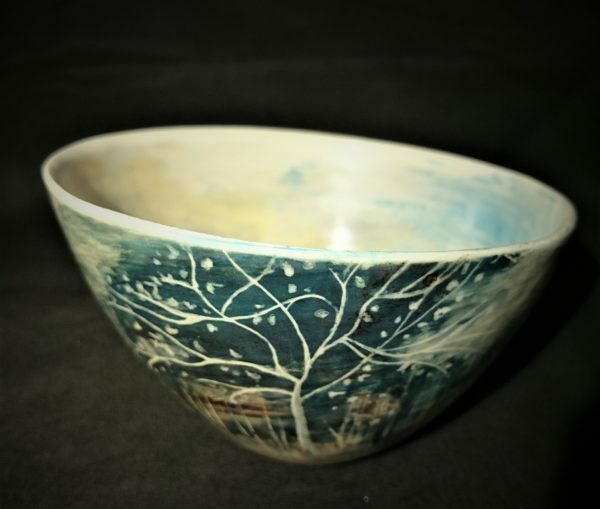 Each piece is totally unique, featuring intricate artwork created using a combination of different glazes and engobes. My work is inspired by a hybrid of my wild North Pennine surroundings and my time spent living in the Far East.